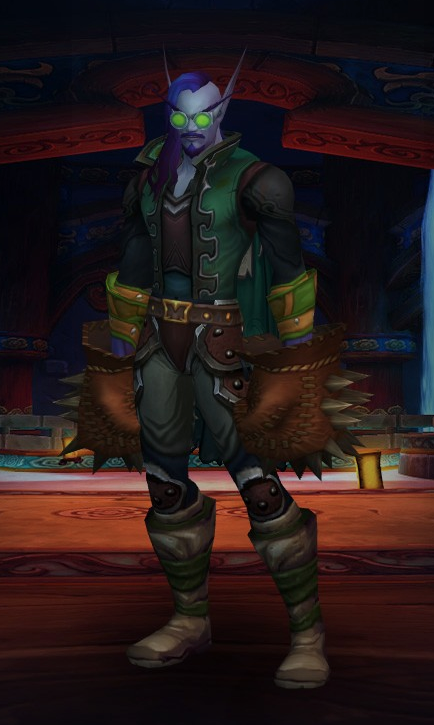 there is also an enchant transmog that make the gloves pulse with lightning, but it doesn't show on the armory. 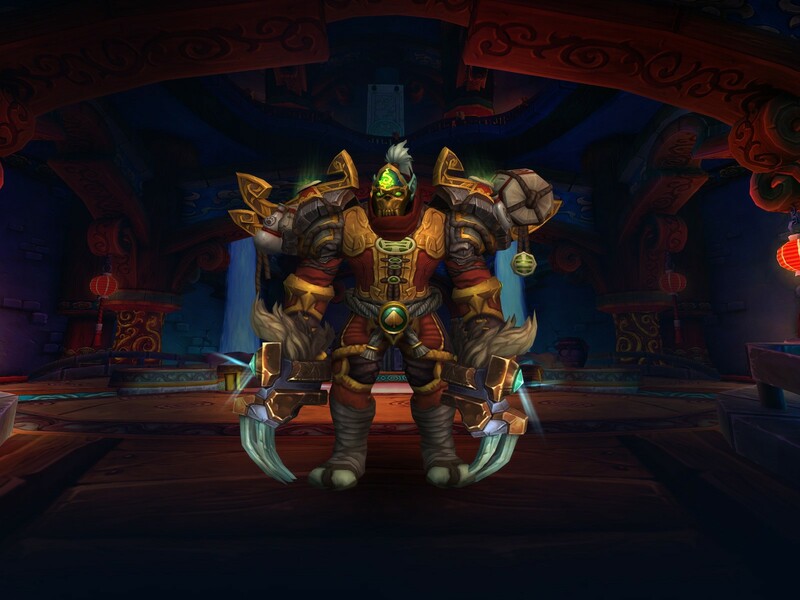 You got a list for that transmog? Do we girls get an E.B.O.O.B.S. (Equipment-Based OverpOwered Best-in-Slot) number? These are the two I've been working with the most lately. 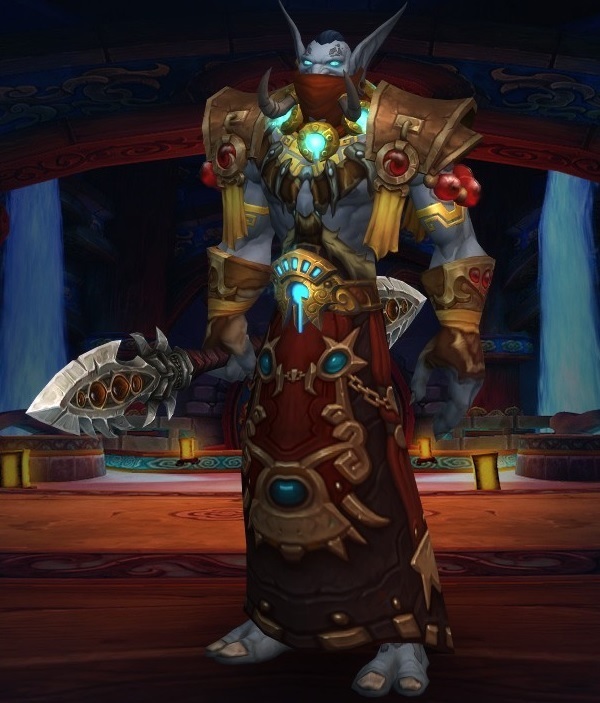 "Blue Oni" still isn't complete, but Fallen Avatar refuses to drop the mythic boots I need to finish it. 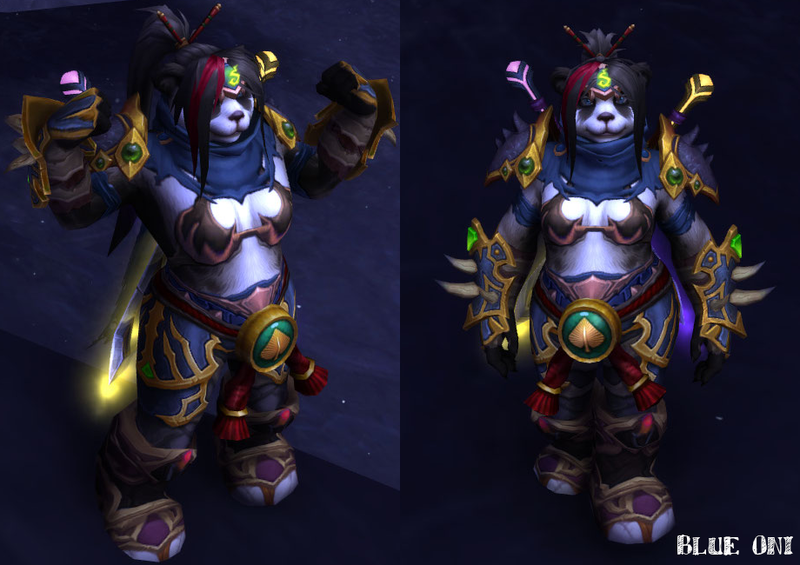 Back again with a new windwalker set and updated my brewmaster set. Nice mogs! 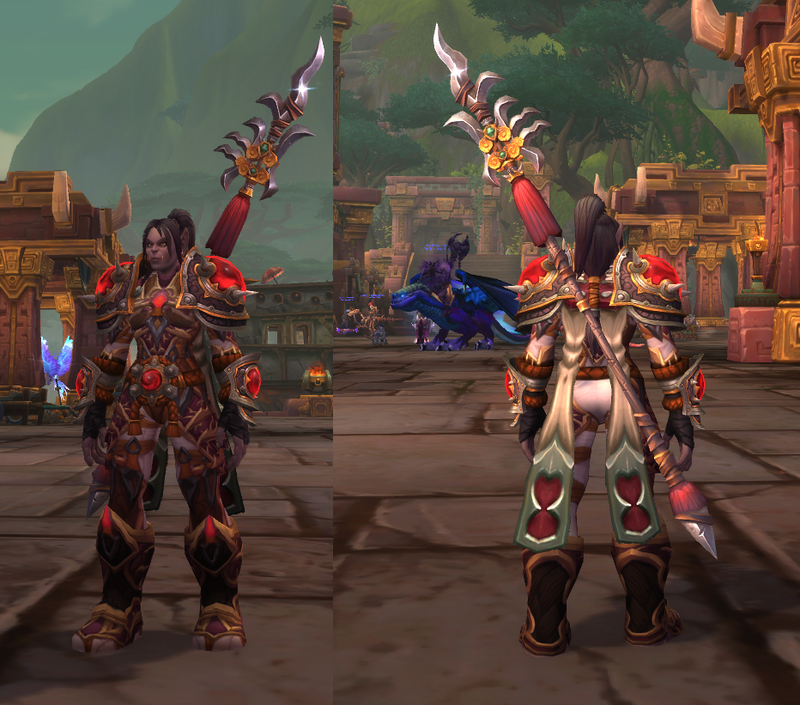 As soon as I am able, I will post my mog as well! 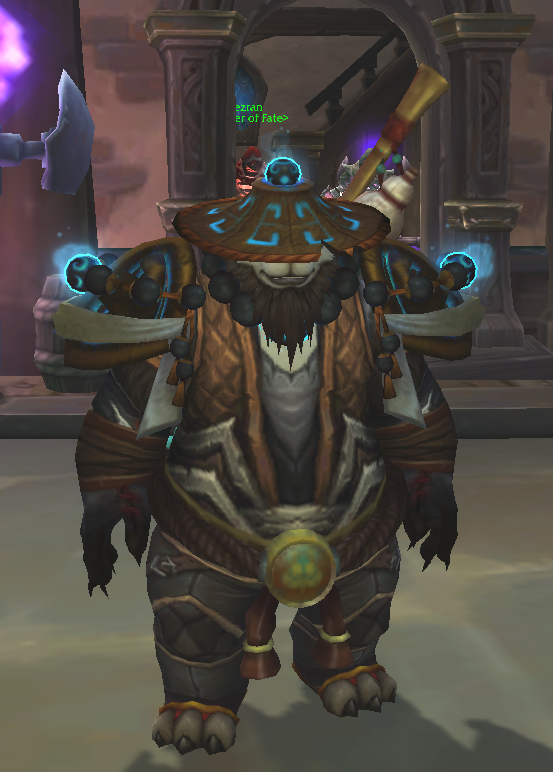 I think I've finally completed my Monk's transmog. I'm thankful to be out of the tier of Rocks tied together with rope. 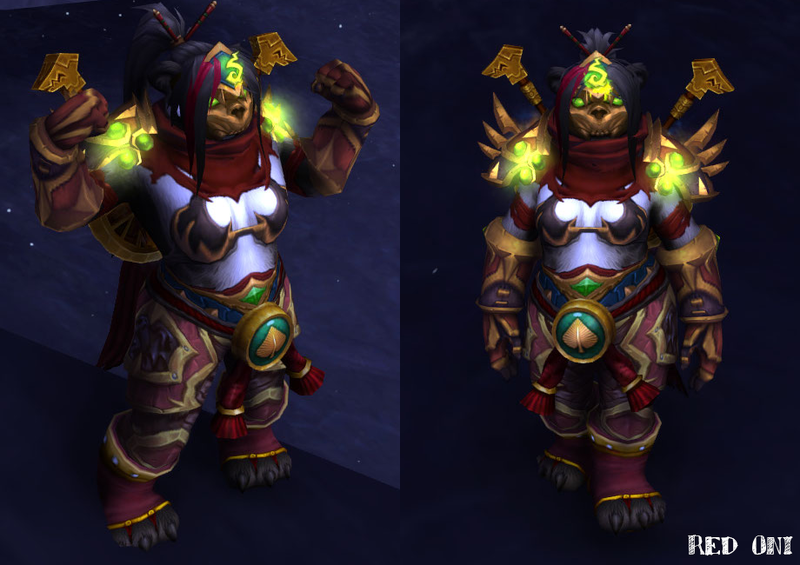 My Mistweaver mog, a mix and match of different tiers and pvp sets, the only thing that I'm looking to replace is the headpiece, but it works. 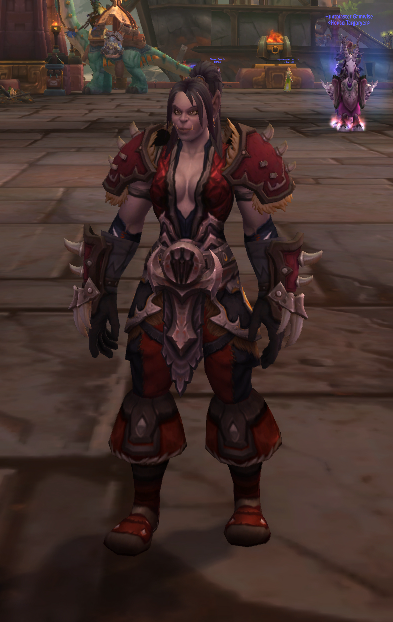 The kilt is from ordos, sadly no other off set item available.